NYC Rapper O Billz Compliments Blank Body's Production on "FBTGM"
NYC-based rapper O Billz has a cadence that’s perfectly suited to the production of Blank Body, complimenting his colorful and distinctive sounds with a flow that almost sounds like it’s part of the beat itself. After collaborating a number of times, the two have come together again with “FBTGM,” and the resulting track is their best work as a duo yet. 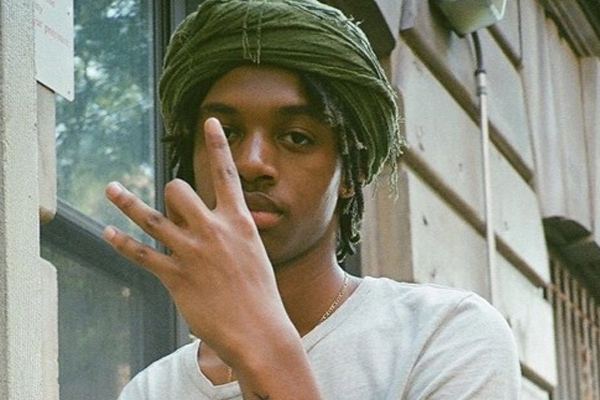 Like few other rappers outside of Night Lovell, O Billz is more than capable of riding the one-of-a-kind production effortlessly. During its brief running time, Billz fits in numerous flows around Blank Body’s mesmerizing core melody. Expanding upon the sounds of 2015’s Christmas With The Devil project, this is easily his most polished song yet. Showcasing that potential his work so frequently shows brighter than ever, “FBTGM” is a brilliant example of just how far O Billz has already come. At only 18 years old, Billz still has room to evolve even further, and that’s what makes him such an exciting rapper. Listen to the premiere of “FBTGM” below, and check out last month’s “1800” below that.